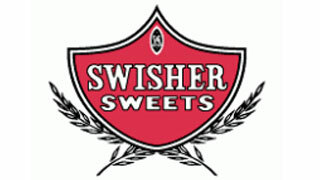 Swisher Sweets cigars are for those who prefer flavorful smokes. These popular machine-made cigars are produced by Swisher International, a famed company that’s been in business since 1861. These Cigars are delicious treats that can be smoked anytime, be it for a special celebration or to unwind after work. Along with a yummy taste, these cigars also let out a pleasing aroma. They are made from carefully selected tobacco blends that have been infused with a variety of flavors. You can choose from a variety of cigars based on both shape and flavor. These cigars are packaged according to your convenience in cartons containing 100 or 60 cigars each. With an astounding range of flavors to choose from, both newbie and experienced cigar enthusiasts will have lots of choices to select from. They are available in peach, grape, blueberry, tropical, wine, strawberry, cherry, regular, chocolate, sweet, white grape and black, among other unique flavors. For fruity, juicier options, smokers can choose the white grape, blueberry, peach or strawberry packs. For those with discerning palates, the wine and chocolate flavors are great options. These cigars are of mild strength. Depending upon the variant, they boast of ring gauges that are anywhere between 28 and 41. Their lengths, on the other hand, range from 3 ⅞ to 5 inches. The brand offers both slim and hefty cigars, ensuring that there’s something for everyone. They come in resealable foil pouches that promise to retain freshness anytime you choose to store them. They first came into the market in 1958 and are now made in Jacksonville, Florida.